This long lost, silent picture has a family connection. 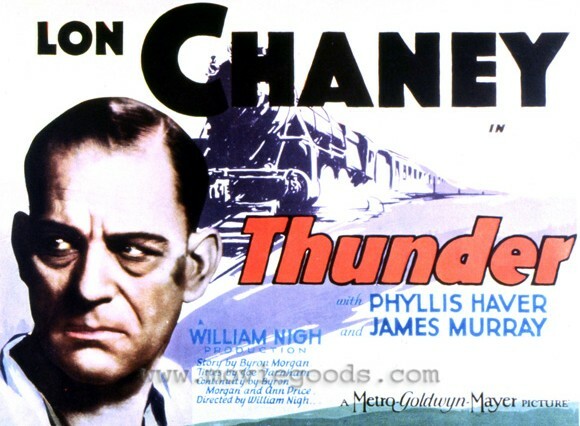 Starring Lon Chaney (The Man of a Thousand Faces), it was filmed on the Chicago & North Western Railroad near Green Bay, Wisconsin. 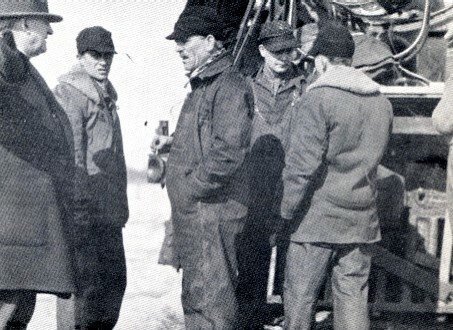 My namesake Great-Grandfather, Lindsay “Len” Pruner was a C&NW trainmaster and engineer who worked with Lon Chaney as a technical advisor. Unfortunately, Thunder 1929 is one of Lon Chaney’s “lost” movies with only a few minutes of footage surviving. Even worse, Lon Chaney passed away shortly thereafter due to “too much smoking”. It was his last silent film. 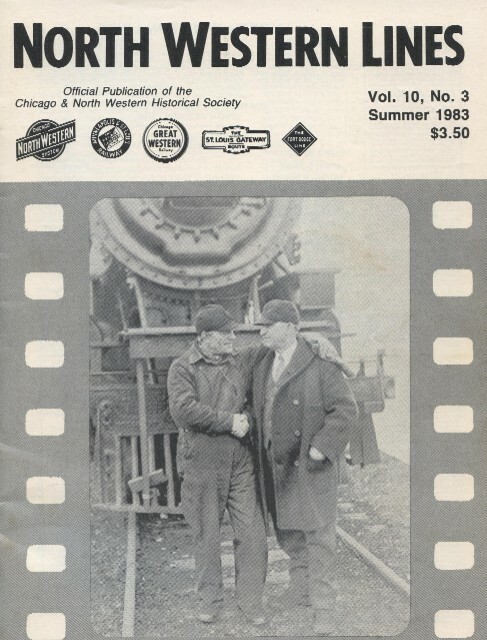 “Thunder on the C&NW” was an article in the Summer 1983 issue of North Western Lines magazine written by my father, Philip B. Korst about the making of this movie. It is available for purchase on CD from the C&NW Historical Society. This entry was posted in Uncategorized and tagged Chicago & North Western Railroad, Lon Chaney, Lost Movies, Man of a Thousand Faces, Silent Movie, Thunder 1929. Bookmark the permalink. Nice article, I didn’t know many of the details, especially the information about your great-grandfather. I’ll consider ordering the article. It’s remarkable that the only two know surviving fragments of the film both came to light in the late 1990s, from independent sources. Perhaps someday a print will surface, but it becomes less likely with each passing year.